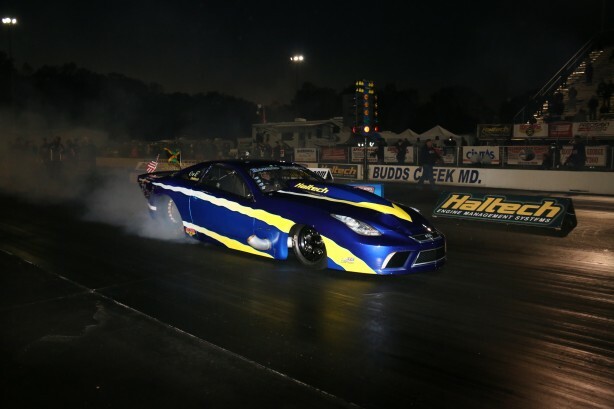 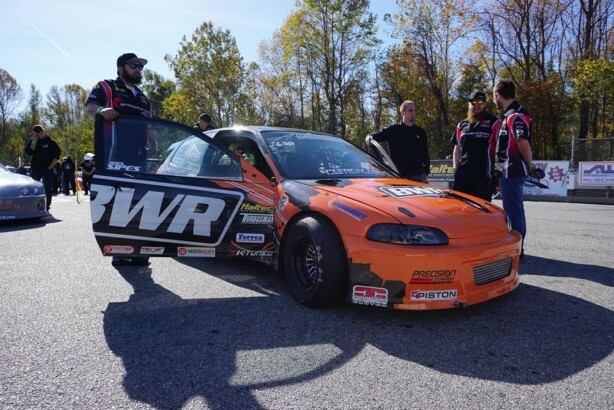 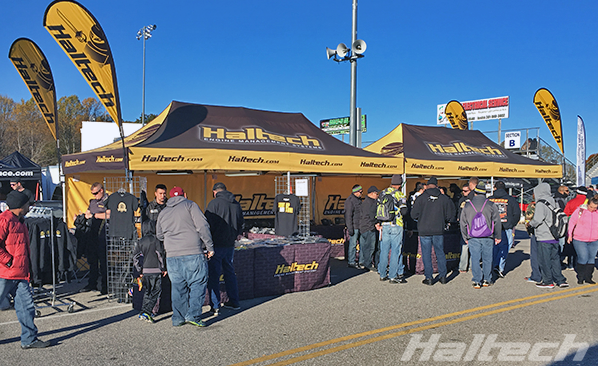 Maryland International Raceway was once again the host of one of the biggest events of its kind in the world, the Haltech World Cup Finals. 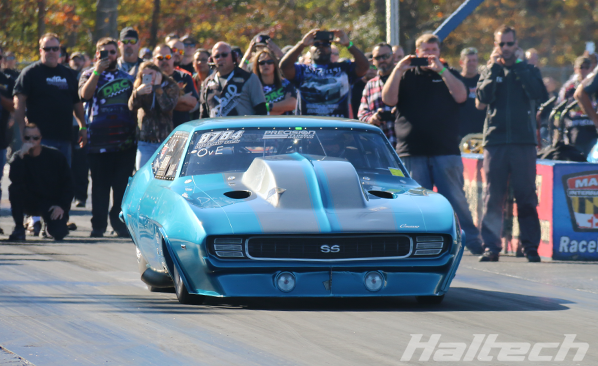 Over 25,000 spectators made their way down to see hundreds of Heads-Up racers from over 10 countries. 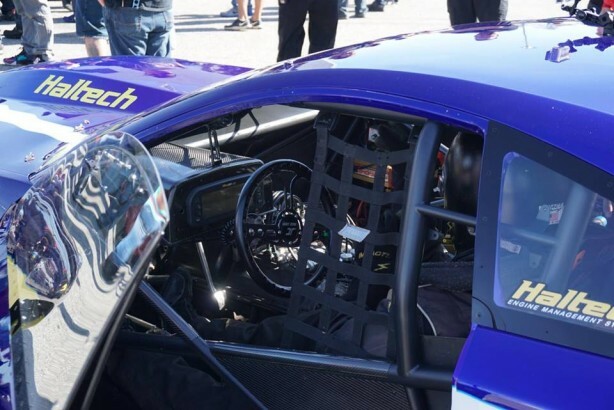 But it wasn’t all about the racing. 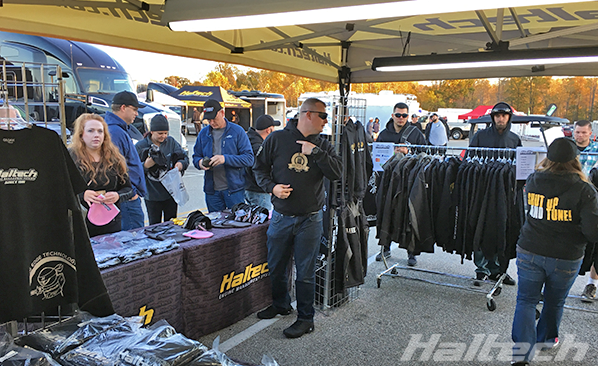 There was a huge car show, bikini contest and trader midway, just to name a few. 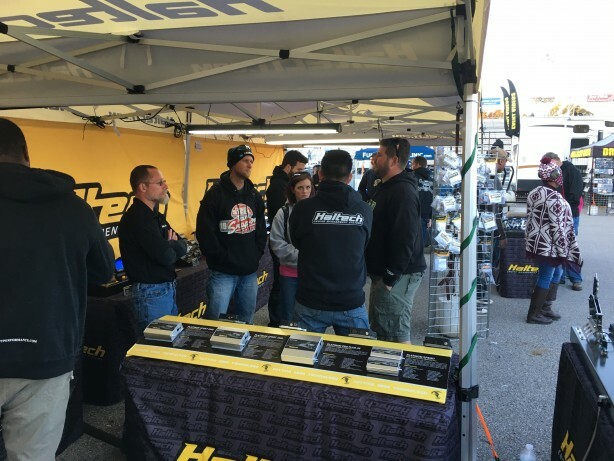 The Haltech team were in full attendance showcasing the latest products and merchandise, which proved very popular with the crowd. 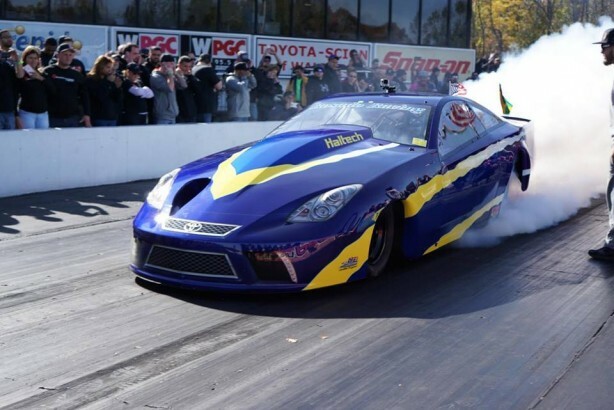 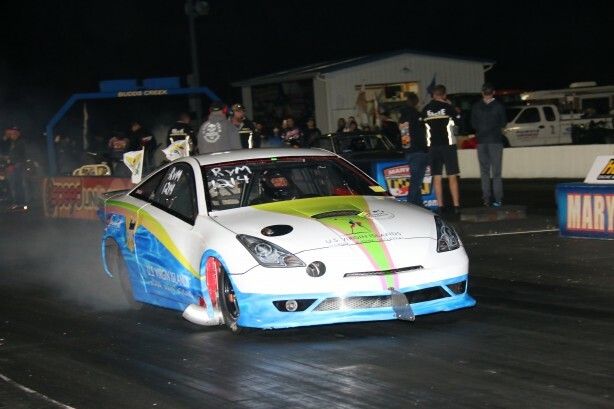 Back with a brand new car after a horrific accident last year, Damon Chin was in fine form, cementing his rightful place in the sport compact drag racing elite. 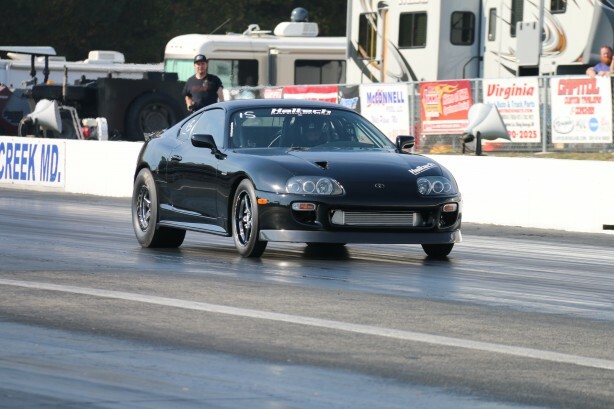 A year of hard work rebuilding the car and testing paid off with Damon getting 3 consecutive 5 second passes, and a PB of 5.97 @ 237mph which makes him the fastest Haltech-powered sport compact drag racer. 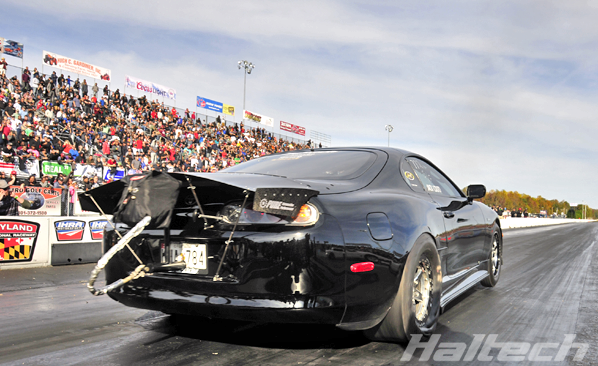 Damon finished runner-up in the Outlaw vs Extreme class. 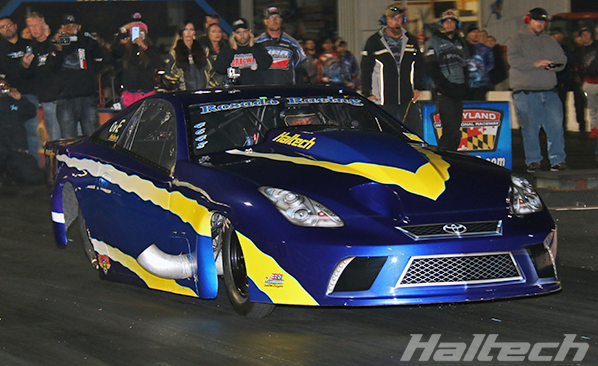 Although only getting eliminated in round 2, Dale Collins Jr still managed an impressive 6.01 @ 235mph. 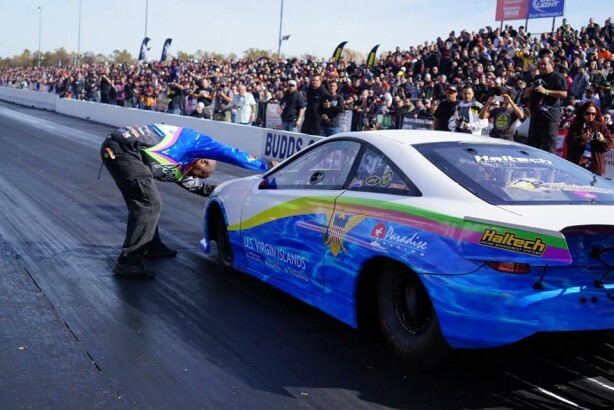 Buck Jarvis pulled one out the bag with a new PB 6.15 @ 228mph. 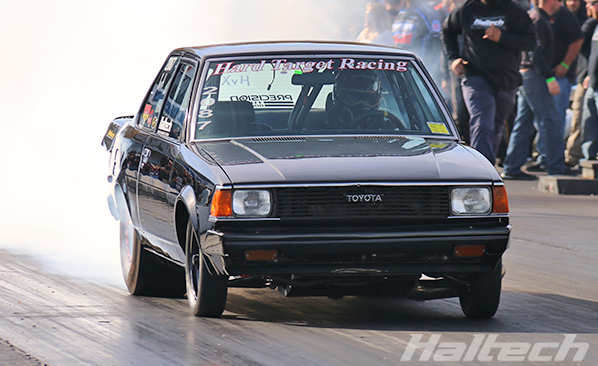 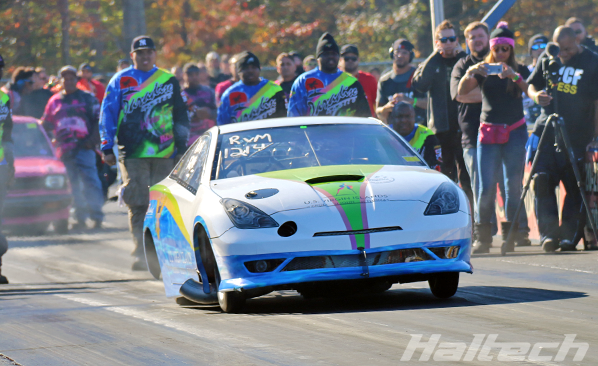 Moving to the Radial vs Modified class, Luis Corujo in the Paradise Racing Celica recorded a 6.77 @ 210mph. 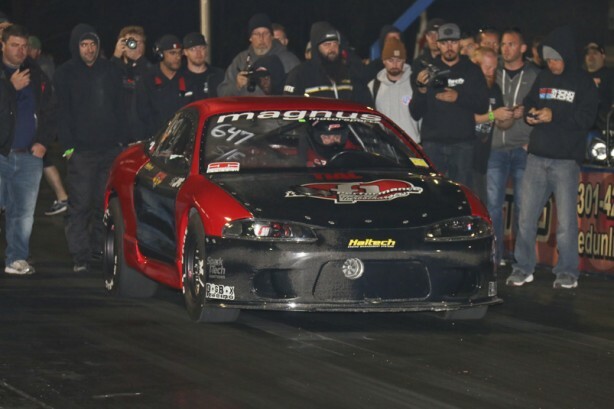 This time was enough to get him to round 3. 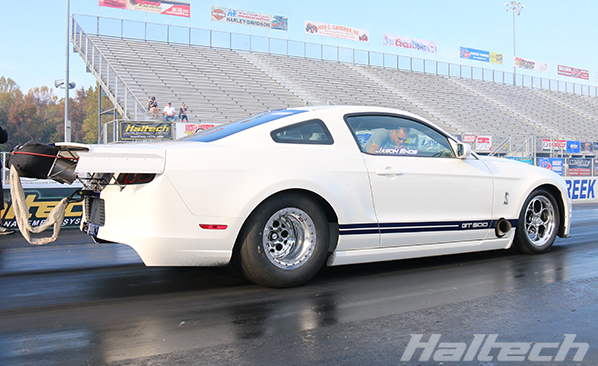 Vince Palazzolo broke into the sixes with a best of 6.87 @ 202mph. 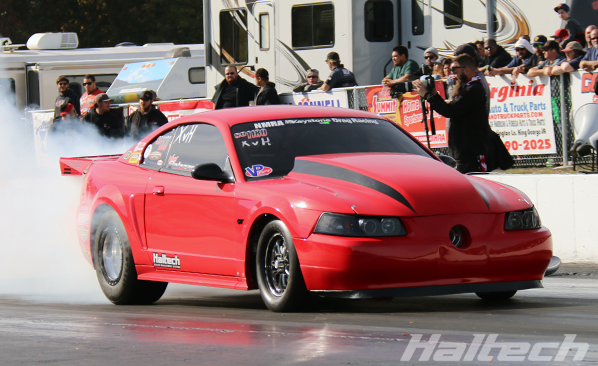 The Mustang was performing very reliably giving them 6 second passes all weekend. 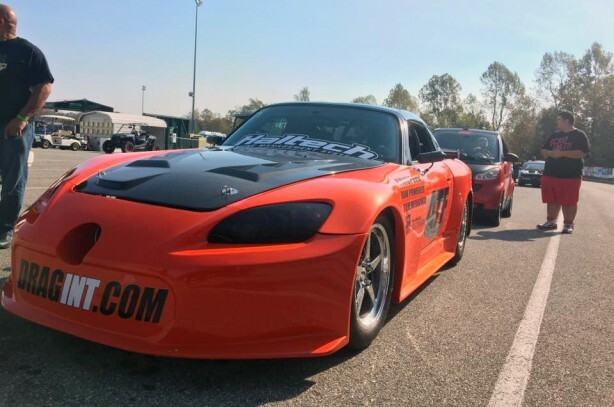 Larry Ramnath put on a huge show in his S2000, although the awesome wheel stand caused some serious damage the suspension and forced him to withdraw his car from the running. 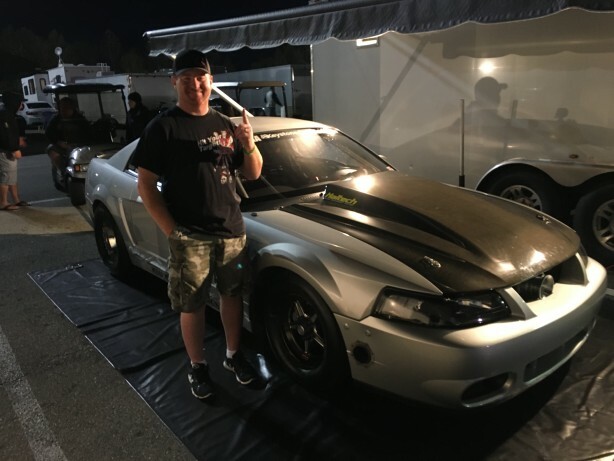 Jason Enos got his GT500 down the line in 7.6 @ 185mph for a new PB. 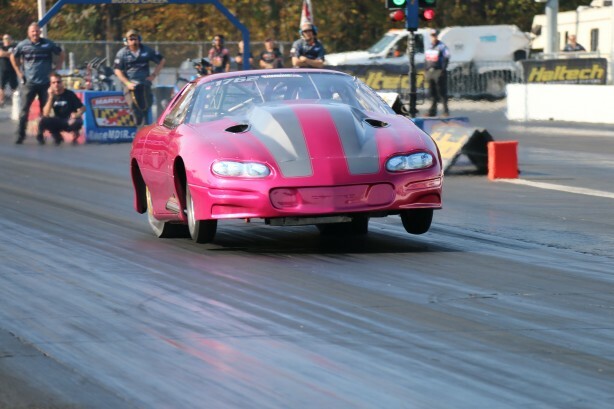 Luis Ferrer secured a solid 7.91 @ 180mph. 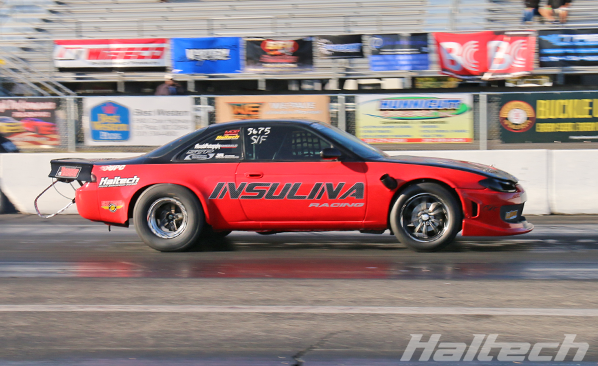 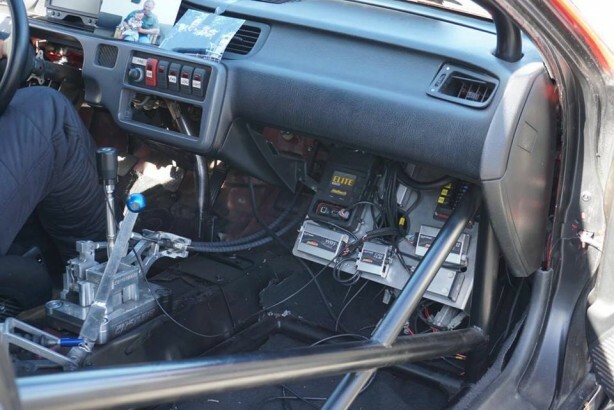 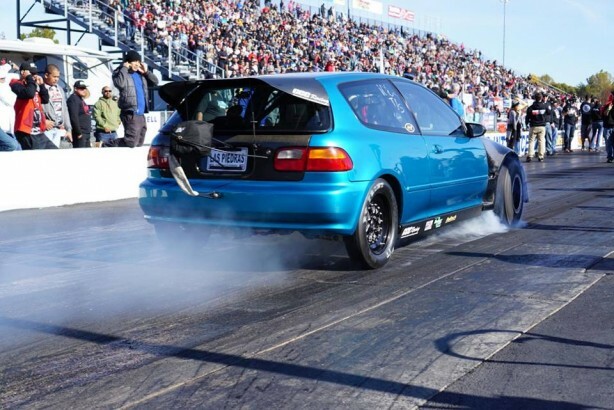 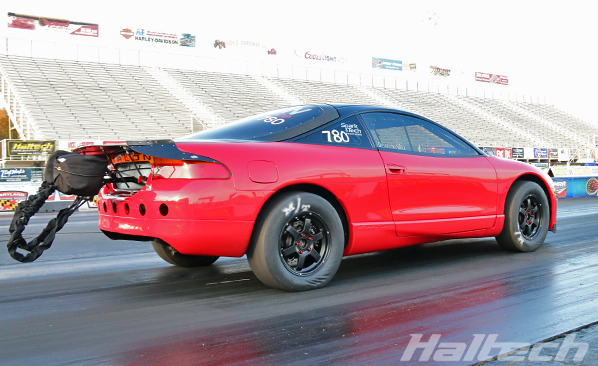 Silvio Leal set a new Street Fighter record and PB with a 7.32 @ 187mph in the 240SX. 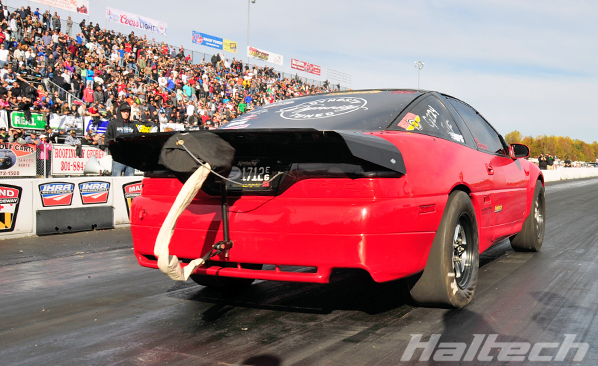 Driving his Talon, Devin Schultz managed a best of 7.56 @ 201mph and a new PB. 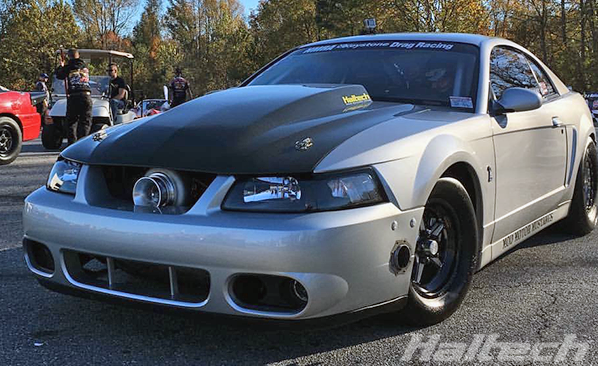 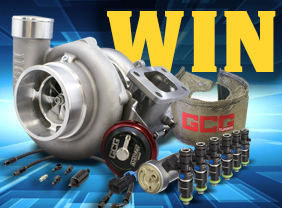 Jacob Conant steered the Cobra to a new PB of 7.64 @ 176mph. 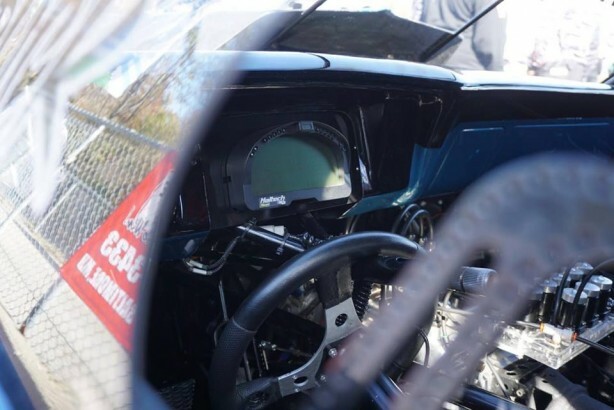 With a time of 7.65 @ 184mph Jacob Couto secured a new PB. 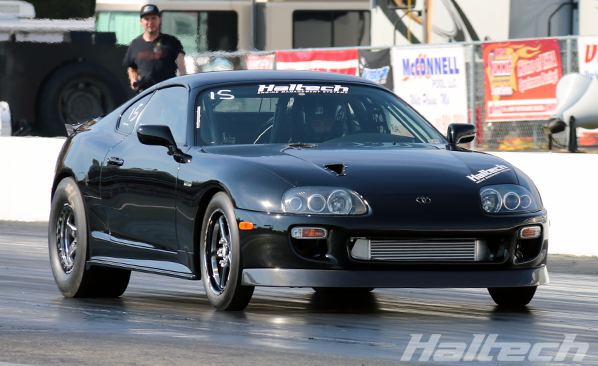 Vijay Ramkissoon got the Supra over the line at 7.70 @ 170mph. 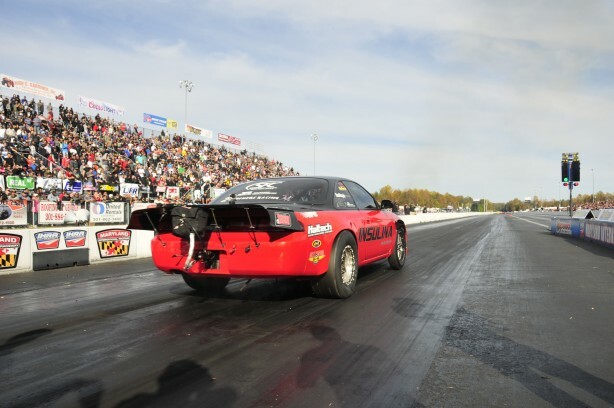 Aaron Gregory managed a 7.71 @ 175mph for a new PB. 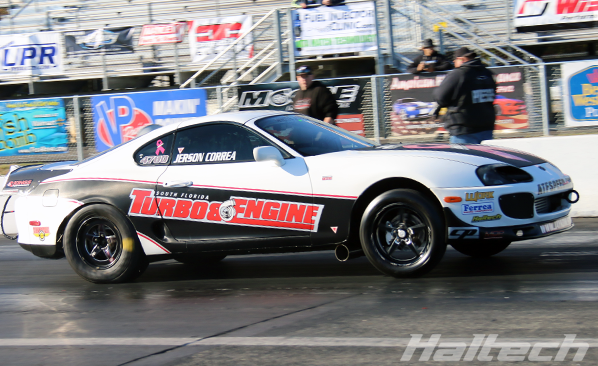 Jerson Correa recorded a best of 7.74 @ 175mph. 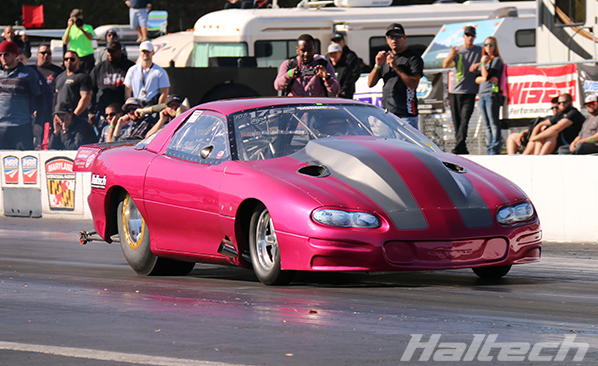 Mike Wohler’s best time for the weekend was 7.98 @ 188mph.